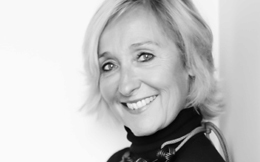 Evelyne Redier founded the agency Higher Together in 2011, capitalizing on an extensive career in advertising, marketing and international brand management, primarily in Luxury and Cosmetics. Her strongest asset is her two-fold expertise, gained through experience in both market research and in-house brand advertising. This enables her to combine an expert knowledge of market research studies with the subtle art of transforming findings into operational and successful action plans. Having successfully occupied senior executive positions with Research Institutes: TNS Sofres, Sorgem, Motivaction International; and in-house brand advertising: Yves Saint-Laurent, Cosmopolitan Cosmetics (Gucci, Rochas and Wella), Parfums Christian Dior, as well as in the domain of agency advertising (BLLB Agency), Evelyne Redier has acquired a clear and astute understanding of all the issues involved in brand strategy. With Dutch and French dual nationality, Evelyne has a high level of sensitivity toward the nuanced aspects and crucial differences in responsiveness of different territories.